Building strong (and profitable) relationships has as much to do with telling great stories as it does anything else. 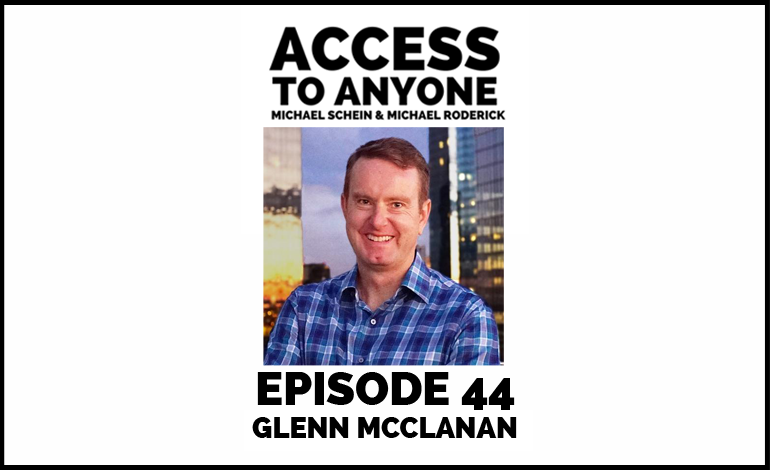 Our guest today Glenn McClanan has a lot to say about the topic. He is a master of combining the most futuristic narrative methods with its most ancient principles, and today he talks abot how his mission to transform storytelling into a truly cross-platform experience has connected him with people across the globe. The real reason to get involved with online communities. Glenn McClanan is the Creative Director of Rio Create LLC. In addition to being a consulting on new media and immersive story projects, he is the creator of the immersive storyworld The Wyr Deception.. He is an Adjunct Professor in Transmedia at Montclair State University, guiding students to explore innovative techniques in narrative and branded storytelling. Previously, he led video development and operations at major online publishers such as Edmunds.com and About.com/New York Times. He graduated with honors from U.C. Berkeley and received his Graduate degree in Film Production from New York University.